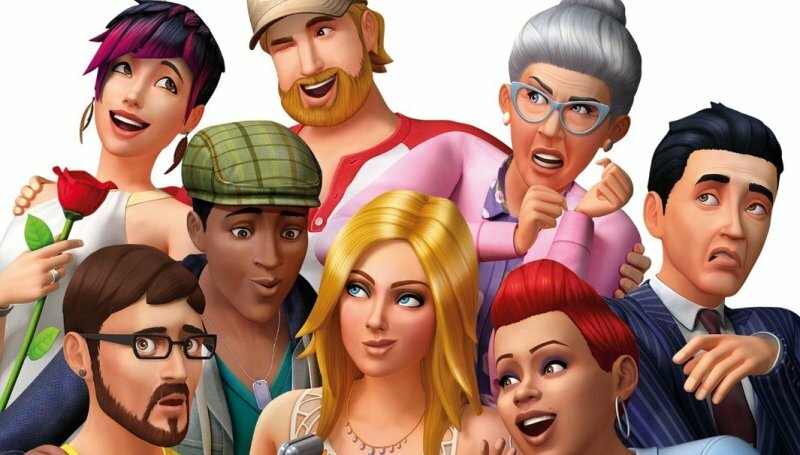 The Sims 4: Is it worth buying? The Sims 4 came out today, much to the delight of people who like controlling every aspect of small virtual people’s lives everywhere. Well, actually, that might be a bit of a lie. Quite a few fans of The Sims are pretty peeved that some features have been removed from the new game, including the ability to have your own toddler. But still, surely it can’t all be bad? The game has been getting some quite good reviews too. In previous Sims games, the best way to tell what your Sims wanted was to pay attention to the little thought bubbles coming out of their head, or giggling while they comically held their legs together when they needed the loo (just us?). In The Sims 4, however, the way Sims express themselves has been greatly improved. They can pull faces, strike poses and walk in a certain way to show how they’re feeling. They can even convey their feelings via the tone of their voice, although they still blabber on in jibberish. Overall, it includes the best expressions in a Sims game to date. Or, to be less crude, your Sims can now multitask. You can talk over dinner, watch TV while eating and, of course, read a book in peace in the bathroom (although this doesn’t seem to reduce your Sim’s stress levels as much as it should). Building a house was always the most boring part of The Sims; we’d much rather just put our Sims into a pre-existing house and be done with it. The Sims 4 changes this. You’re given a near-architect level of control over the look and style of your house, allowing to create an abode that is truly yours. You can even share your creations online for fellow players to use, meaning you could technically carve out a real-life career as a Sims architect (if there are any people actually willing to pay for that kind of thing…). Creating your own Sim is always enjoyable, but limitations in the choice of faces and so on meant that you could never quite get your little person exactly how you wanted them. Good news, though: The Sims 4’s Create-A-Sim mode features a ridiculous amount of customisation options, so you can more or less create an inch-perfect replica of anyone you can think of thanks to improved facial and body editing. And, like houses, you can share your creations online too (don’t blame us if someone downloads a version of you and starts exploiting them in horrible ways…). One of the biggest complaints about The Sims 4 so far is the lack of features in the game. Conspiracies are abound that Maxis are holding back certain elements of the game for expansion packs, which is believable considering how many expansions were released for the previous game. Nevertheless, the ‘base’ version of the game on release now has been criticised for feeling a little bit empty. Work is a crucial part of anyone’s life that has massive effects on people’s social lives and overall emotions. In The Sims 3, you could follow your Sim to work and interact with your co-workers, broadening the overall Sims experience. Unfortunately, Maxis have reverted to ‘warp work’ in The Sims 4, meaning that your Sim disappears for 8 hours a day and only returns when work is over. A bit of a shame, really. Fans of The Sims were outraged when they found out swimming pools wouldn’t be included in the new game, with developers Maxis explaining that they had to go to make way for new features. It doesn’t seem like a massive loss in all honesty, but it is a bit of a kick in the teeth for those of us who liked leading our Sims into the pool and then removing the steps so they couldn’t leave. So, all in all, The Sims 4 has its plus points and its negatives. For fans of the series, it’s pretty much essential (you can always sell your Sims games with us if you don’t want to splash out full price for the game). For everyone else, though, it may be worth waiting to see what expansions Maxis release over the next couple of months.